Cinema is only one century old, but it has emerged as the most powerful influence on an Indians' emotions. India makes more films than any other country in the world. Louis and Auguste Lumiere chose Bombay for popularizing their new invention, cinematograph. The city that the Lumerie brothers chose remains the film capital of India. 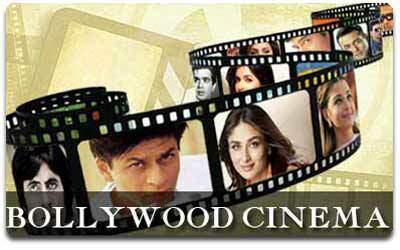 The so-called Bollywood represents the heart of commercial cinema in India. Bollywood's Hindi cinema and Kodambakkam-based Tamil Cinema not only produce quality cinema, but has also got popular acclamation from all over the world. The first generation contributors include V.Shantaram, Bimal Roy, and Raj Kapoor in Bombay and K.Subramanyam and S.S. Vasan in Madras. The present generation has a bigger galaxy which includes Mrinal Sen, John Abraham, Shyam Benegal, Govind Nihalani, Kama Hassan, Girish Kasaravalli, K.Balachander, Aparna Sen, Shekhar Kapoor and the main masters are: Satayajit Ray, Ritwik Ghatak, Adoor Gopalakrishnan and Aravindan. To shake Hollywood out of his system and evolve a different style was what Mrinal Sen strived for. He began thinking seriously of films only after his third film "Baishey shravan" in 1960. His "Akash Kusum" was a totally different film. The film that really won for Mrinal Sen a place among the Greats was perhaps, "Bhuvan Shome". Two films on the city of Kolkatta, "Calcutta 71" and "Padatik" and a Telugu film, "Oka Oorie Katha" signaled the end of a phase of Sen's career. "Aakaler Sandhane", "Khandhahar" and "Kharji" are some of his other significant works.In 2001 The Russian government honored him with the Order of Friendship. He received the Padma Bhushan from the Government of India, and had been an honorary Member of the Indian Parliament from 1998 to 2003. After a long gap of eight years, at the age of eighty, he made his latest film, Aamar Bhuban, in 2003. Mrinal Sen is currently busy working on an autobiographical book, which is expected to be published in 2004. The voice of protest that was heard in Bengali and Kannada films was sounded in Hindi through Shyam Benegal. He protested against feudalism, social inequality, cruelty, etc. He often used women as his protagonists as symbols of the oppressed and their rise to rebellion against the present conditions, in films like "Ankur", "Manthan" and "Bhumika". "Kalyug" a modern "Mahabharat", "Trikaal" which speaks of the values of the Goan Catholics, "Mandi", the story of a township, and a very imaginatively woven documentary on Satyajit Ray are some of his other important works. In october 2002, the British Film Institute published the first major overview of Shyam Benegal's films in its World Directors series.As evident in his last film, Zubeidaa, in which he enters mainstream territory, casting top Bollywood star Karishma Kapoor in the lead role and utilising wiz-kid AR Rahman's music. There is only one man who has managed to carve out a niche of his own in a world dominated by Dr. M.G. Ramachandran and later by Rajnikanth. For one who entered the world as a child artist in a Malayalam movie, Kamala Hassan has come a long way both as an actor, producer and director. Initially he played hero roles based on classical dances in which he had some expertise. Kamala Hassan's triumph is that the could develop a style that is uniquely his. He constantly improvises his style. The roles of both comic hero and tragic hero are safe in his hands. He was able to imbibe the traditions and historical richness of Tamil culture. This is reflected in his attempts to turn into movies some of the dramatic movements in Tamil history like "Maruthanayagam". Kamala Hassan is an original and hence he finds a place in any survey on the history of Indian cinema. Serious post-war Indian cinema was for years associated with Satyajit Ray. A director of singular talent, he continued to dominate Indian cinema through the 60's and 70's. He had consistency and evenness in his creative pursuits. Ray was born into an upper middle -class family of artists and writers and his home was the epicenter of literary and artistic activities. He made his mark as an illustrator before he began dabbling in films. At first, he wrote the screenplay for the film, "Pather Panchali" and with the help of his friends and relatives he launched it. It was a landmark in the history of Indian cinema. He took the film out of the studios to actual locations. It ran into financial problems and finally it was completed with the help of the then West Bengal Government. It won a Grad Prix in Cannes and a lot of acclaim from European critics.His famous trilogy is "Pather Panchali", "Aparajito" and "Apur Sansar". The British Raj made up a favorite backdrop for many of his films. Some of his films like, "Shatranj Ki Khilari" and "Jalsaagar" had a historical perspective. The cheerful children's film, "Goopy Gaye Agha Byne" and films that have present day relevance like "Mahanagar" and "Charulatha" may be considered as Ray's Magnum Opus. A special feature of Ray's films was the absence of heroes and villains. The only heroism is that of human endurance. Ray forayed into short films and documentaries too. He was also a good music composer for many of his films and for some other filmmakers too. The most acclaimed of Indian film directors, Ray opened a whole new world of possibilities in Indian cinema. He won a special Oscar and Bharat Ratna in 1992; the Magsaysay Award in 1967 and the Order of the Yugoslav Flag are some of his many national and international honors. Adoor Gopalakrishnan has written and directed eight feature films and over two dozen documentaries and short films. The National Award for the Best Director has gone to Adoor four times. He won the prestigious British Film Institute Award for his film "Elipathayam". He has received the International Film Critics Prize four times successively. He also won the National Award for the Best book on cinema in 1983 for his book "Cinemayude Lokam". His published works include ten plays and a book on plays and playwrights. He was nationally honored with the Padmasri title in 1983. Tributes and Retrospectives of his films were held in Pesaro Helsinki in 1985, La Rochelle in 1987, Nantes in 1989, Munich in 1992 and New York in 1994. Born on 3rd January 1935, Aravindan's introduction to cinema was through Kurosowa's "Rashomon", which he saw several times. Since there were no film schools then to nurture his interest, he turned to painting and drawing cartoons instead. He also joined a folk theatre group. The transition from cartoons to cinema was so smooth. Aravindan's disregard for cinematic conventions made his films outstanding even among the strongly individualistic and forward-looking films that Malayalam cinema was known for. Aravindan's films were marked by a stark purity, pervaded with a lyrical passion and almost unapproachable in distance from other cinema in Kerala. In doing so he gained many admirers. He was an intense and reserved person whose moods surfaced mostly in his films. Aravindan studied Hindustani music for five years. He was equally knowledgeable in Carnatic music too. This is reflected not only in the musical scores of his films but also in their rhythm and flow. In all, he made 11 feature films and 13 short films; almost all of them award winners. Rightly described as a megastar, producer, director, actor and all-round showman, Raj Kapoor has permanently carved for himself a special niche in commercial Hindi cinema. He first started his career as a clapper boy. In the year 1948, he set up his own studio and made his first film, Aag (Fire) which was a success with films like "Barsaat "and "Shri 420" following. He is called the Charlie Chaplin of India since he often played a tramp-like figure who despite several adversities looks cheerful and lives honestly. The songs of his films endeared the rural masses of India. Visual imagery is an important part of his films. After his film "Mera Nam Joker" became a failure, his films took a more sensuous turn. This included films like" Bobby", "Satyam shivam Sundaram" and " Ram Teri Ganga Mail". Amitabh can be rightly called the King of Indian cinema, particularly commercial Hindi cinema. He was the eldest son of a Hindi poet and the socialite Teji Bachan. He had his early education in Nainital and then went on to Delhi University to earn a degree in arts. He first appeared in a movie called" Saat Hindustani". He introduced the motif of the angry young man to Indian cinema. Altogether he has appeared in about 70 films and many of them belong to the mid70's and 80's. Most of them were resounding successes. He married Jeya Bhaduri, a successful actress in Hindi cinema.After some 10 years in the cine- field he entered politics but it was not a big success. His major films include Saat Hindustani (1969), Anand (1970), Guddi (1971), Namak Haram and Zanjeer (1973), Deewar and Sholay (1975), Amar akbar Anthony (1977), Trishul (1978), Chasme Buddoor (1981), Agneepath (1990), Hum (1991), Khuda Gawah(1992), Insaniyat (1994), Tere Mere Sapne (1996), Mrityudaata (1997), Bade Miyan Chote Miyan (1998), Biwi No. 1 (1999), Mohabbatein (2000), Lagaan: Once Upon a Time in India (2001), Hum Kisi Se Kum Nahin (2002) , Mumbai Se Aaya Mera Dost (2003), Deewaar (2004), .